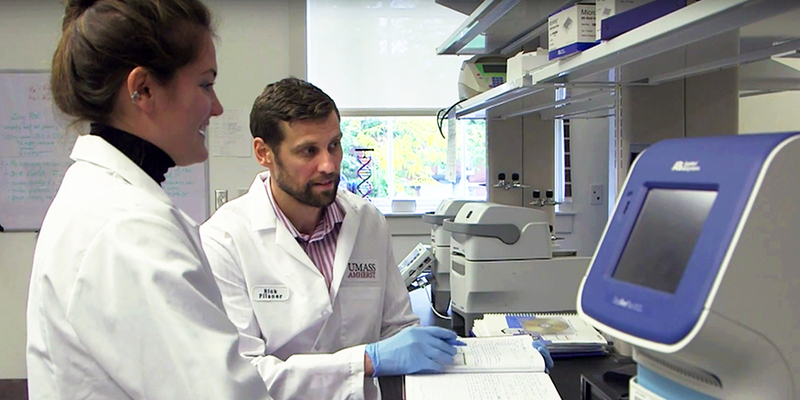 The UMass Amherst School of Public Health and Health Sciences utilizes the Schools of Public Health Application Service (SOPHAS) for receiving applications to our M.S., M.P.H., and Ph.D. degree programs. Please visit the SOPHAS website for a complete list of application procedures and instructions. Admission decisions are based upon all application materials. Successful applicants generally have a GPA of 3.00 or better. For those with an advanced professional or doctoral degree, the Graduate Record Examination (GRE) can be waived by the department. A TOEFL exam is required for foreign nationals. A strong science background in a prospective applicant's undergraduate work is recommended. All applicants must take the Graduate Record Exam (GRE). Foreign applicants must also take the Test of English as a Foreign Language (TOEFL). The minimum TOEFL score is 600 or better for the paper-based exam or a score of 90 or better for the internet-based exam. The Graduate School also requires a minimum undergraduate cumulative grade point average of 2.75 on a 4.0 grading scale. Admission is based on the applicant’s grades in undergraduate and graduate courses; test scores; letters of recommendation; and the applicant’s personal statement. They must also have adequate undergraduate preparation (cumulative grade point average of B or better) in the basic sciences. Applications must be received by February 1 for fall admissions. Spring admissions may be accepted on a case by case basis. The deadline for spring admission is October 1st.